The best way to decrease the calories in any restaurant meal is to share the food. 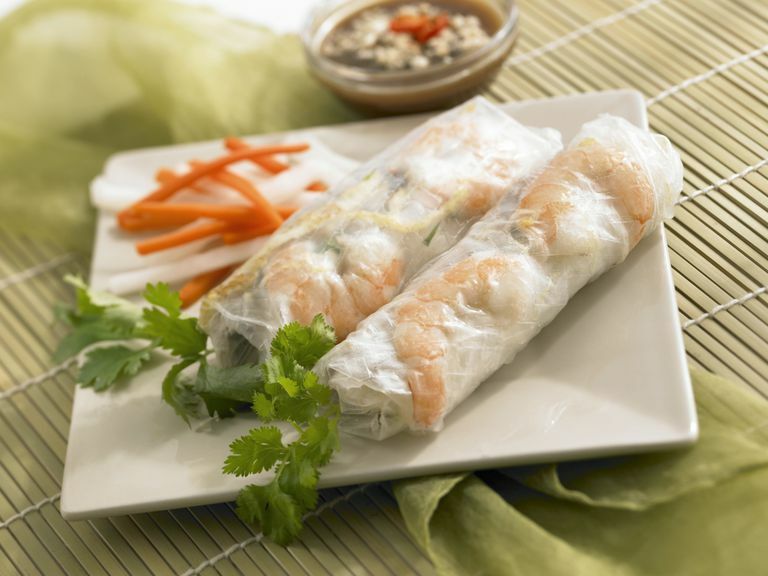 Vietnamese food is especially easy to enjoy "family style." Split the plate when it arrives or ask your server to split it ahead of time. If dining solo, or if no one wants the dish you select, ask that half of it be packed up to take home before it even hits your table. The calorie count of pho varies based on the ingredients and the portion size, but it can range from around 300 calories per bowl to 450 calories or more. It is usually low in fat if it is made with lean meat (like chicken) but higher in fat if it is made with fattier meat like beef. Pho may also contain high amounts of sodium.